Note : For 2 to 14 years old and above. Children are blessed with a natural gift of a creative mind. Their imagination is untouched by cynicism. Books and stories can fuel their already unbridled creativity and help explore the genius within them. 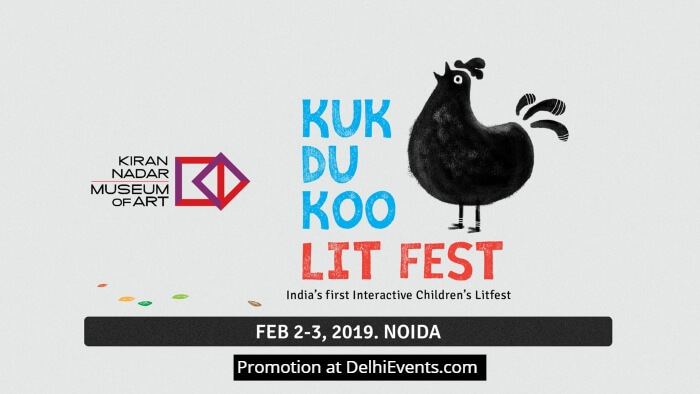 KNMA Kukdukoo Litfest (KLF) is an incredible opportunity for kids to connect with their favorite stories and be a part of their phiz-whizzing world. It is a place for children to explore their creativity through the world of books, and weave their own magical tale. They will be joined by over 40 Indian and international storytellers, authors, and artists, for a truly inimitable experience. The festival will have a plethora of exciting events including musical storytelling, theatre, and book-reading sessions. Children will not only get to experience the joy of reading but also participate in their own stories. This is a wonderful opportunity for the parents to invoke the love for reading in children; the kind of love that will stay with them for years to come. KNMA Kukdukoo Litfest is India's first interactive Literature festival for children, which aims to bring children closer to the characters they love and weave their own stories. This February, your child will take an unforgettable journey inside the creative corners of their mind! It is truly going to be a fun ride.